The Office of University Controller developed this website to help make financial report information easier to understand. After reviewing this website, you will understand where CU gets its money and how CU spends that money. Every year, CU produces an audited financial report with a vast amount of information that is very important to a number of constituencies: rating agencies, the State of Colorado, federal funding agencies, the Board of Regents, and the public. However ... providing a vast amount of information is not the same as providing easily understandable information. So the Office of University Controller decided to present the data in easy-to-understand language and charts. You could call this ‘financial statements made easy' ... or ... ‘financial statements for the non-accountant' ... or ... ‘the ABCs of CU's annual financial report'. Whatever you call it, this is our commitment to helping interested people better understand the University of Colorado's financial position. Through this website, you will see where CU holds its resources, what the claims against those resources are, and what's left over in the end. Along the way, we'll tell you where the University gets its money and how it spends it - in the short term and over the long haul. All of the numbers in this website are taken from CU's audited financial statements. Accrued Expenses - expenses reported in the period in which they occur but for which payment is made in a subsequent period. The vast majority of the University's accrued expenses are salaries and benefits earned but not paid as of the end of the fiscal year due to the State's pay date shift (shifting the final pay date for all State employees from June 30 to July 1 of each year). Net Position - assets plus deferred outflows less liabilities (essentially, the difference between resources and claims against those resources). Net position can either be positive (usually a good thing) or negative (probably a bad thing). Unearned Revenue - payments for services that have come to the University in advance of the University providing those services (e.g., summer tuition and fees paid for courses that are not completed by June 30, and payment on grants and contracts prior to the research being conducted/work being performed). Unearned revenue is treated as a liability since the University has not yet performed the work (teaching, research, etc.) needed in order to “earn” that revenue. Our starting point is where CU holds its resources and the claims against those resources. In the Annual Financial Report, this is reported in the Statements of Net Position, popularly known as the Balance Sheet. Remember: The resources held by CU are called assets, the claims against those resources (assets) are called liabilities, and the difference between the two is called net position. Net position can either be positive (usually a good thing) or negative (probably a bad thing). Assets and liabilities are broken into current and noncurrent. The ratio of current assets to current liabilities is one indicator of financial health. A ratio greater than 1 demonstrates an ability to pay obligations as they become due ... and is therefore favorable. 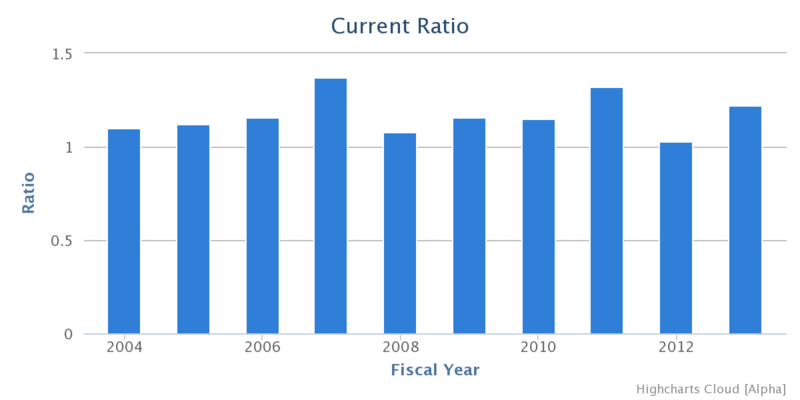 The University maintained a ratio greater than 1 for the past 10 years. Take a look. CU holds a variety of investments to diversify risk and maintain returns. Investments are typically held until maturity - but the financial statement reflects the changes in fair value of those investments even though these changes are unrealized (CU hasn't sold the bonds so it hasn't realized the underlying gain or loss). 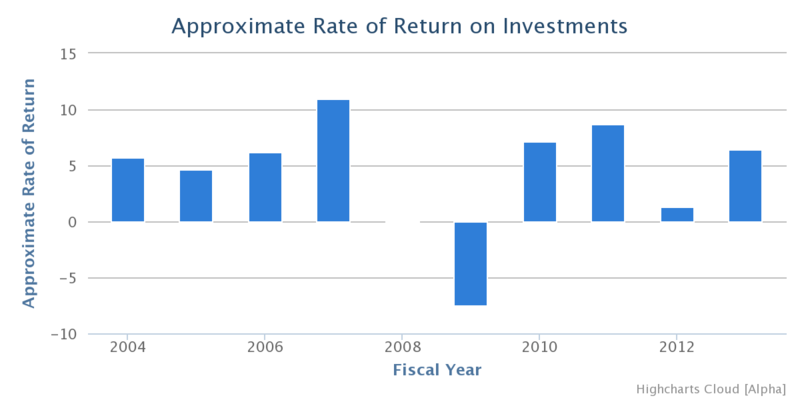 So: investment income can swing widely from year to year depending on prevailing interest rates, significantly impacting the University's results year over year. While unrealized gains or losses are not a meaningless number, it is important to understand they do not represent actual resources coming in or out of CU. Add capital assets (buildings, land, equipment, etc.) to investments and you now account for over 90% of CU's assets (resources) ... Unlike cash and investments, capital assets cannot be spent so they do not provide the cash necessary to fund University operations. In fact, as buildings age, the cost to maintain them increases, resulting in additional expense to CU. The bulk of CU's remaining assets are accounts receivable. These receivables are primarily due from students, from federal, state, and private sponsors, and from patients. Not all paymen ts owing to the University will necessarily be collected. CU estimates the dollar amount that will not be collected and records an allowance for bad debt to offset the gross amount of the receivables. 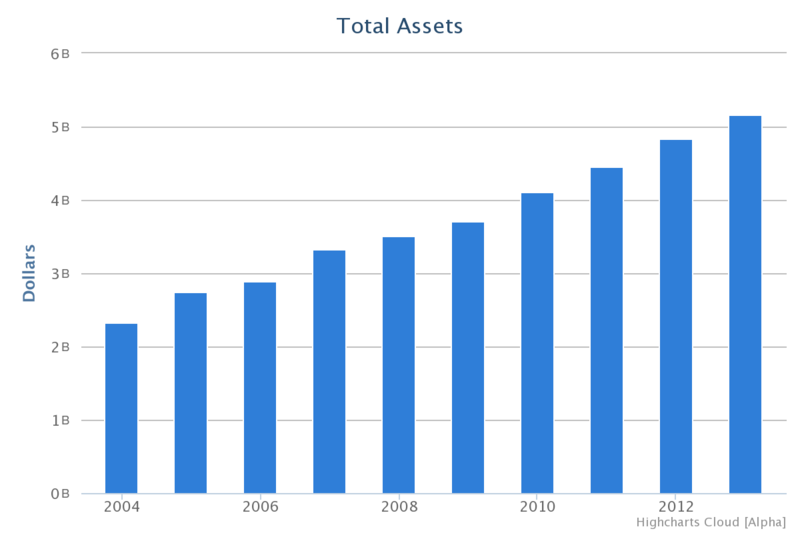 Now that we've reviewed the different types of assets, let's take a look at CU's total assets over the last 10 years ... These represent the sum of what the University owns - some of these assets (such as buildings) are recorded at historical cost - and others (such as investments) are recorded at fair value. Increases in total assets over time are generally indicative of a growing institution. Next, the Balance Sheet presents the claims on the University's assets - otherwise known as liabilities. 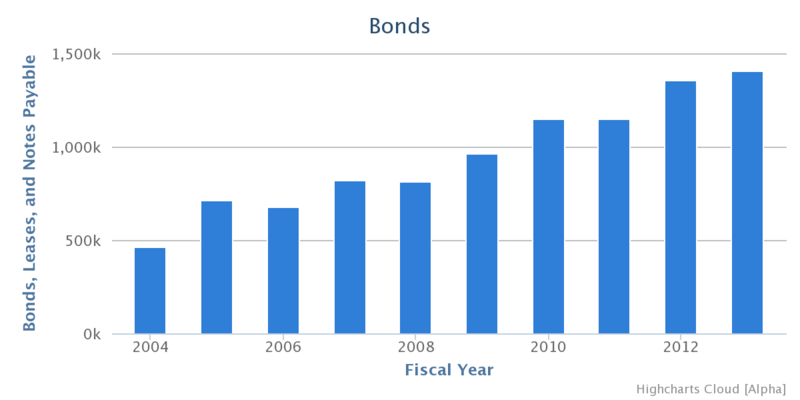 Revenue bonds account for about 65% of the University's liabilities and are payable only from revenue sources specified in the debt agreements. Revenue bonds are normally issued to fund capital improvements. They are not issued to fund daily operations. Over a 10-year period, the University has increased its amount of debt outstanding in order to fund construction due to programmatic and enrollment growth. Another key concept underlying the OPEB liability is that individuals receiving these benefits are benefiting from what is referred to as an implicit rate subsidy. Since former employees receiving health and other benefits post-employment are included in the overall CU participant population, they are charged lower rates than would otherwise be available to them as individuals at their age. Furthermore, CU pays directly a significant portion of the total premium. The combination of these 3 results in the OPEB liability. ·	Unearned tuition and fee revenue reflects amounts paid for summer courses that are not completed by June 30. ·	Unearned grants and contracts revenue reflects payment from the sponsor prior to the sponsored research/work being performed. The vast majority of accrued expenses are salaries and benefits earned but not paid as of the end of the fiscal year. Here's why: In order to balance the budget a number of years ago, Colorado shifted the final pay date for State employees from June 30 to July 1. The "pay date shift" continues to this day. This amount primarily represents the $ value of paid time off earned but not yet used by CU employees. Employer-related payroll taxes are also included in the liability. Other postemployment benefits (OPEB for short) are benefits provided to individuals after their employment has ended. The concept underlying the OPEB liability is that the liability should be reported in the financial statements as the benefits are earned by currently active employees. You might be wondering why revenue (income) is here as a liability. That's because the University has an obligation to fulfill ... and this revenue depends on services yet to be provided. Net position is the difference between assets and deferred outflows less liabilities. Deferred outflows show consumption of resources (assets) applicable to a future reporting period. CU's capital asset balance less debt issued to fund those capital assets - this is typically over 50% of CU's total net position but doesn't reflect spendable reserves. 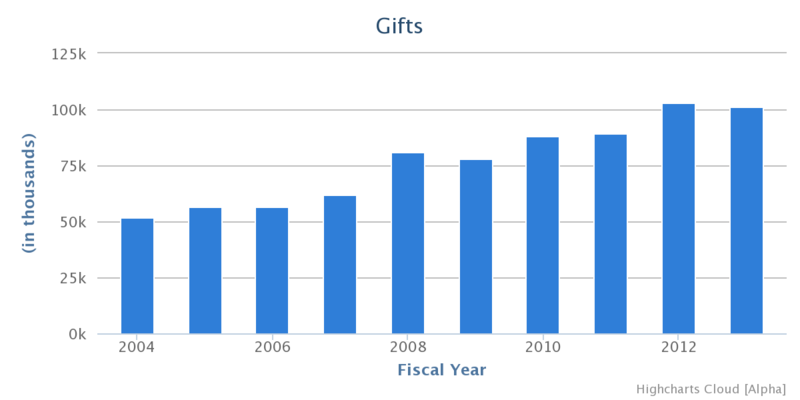 Endowments received as gifts: only the investment earnings on the gift can be spent and then only on scholarships, endowed chairs, and the like. Entire gift can be spent, not just the investment earnings. Funds can be spent only in accordance with restrictions established by external third parties. Balances designated for use by leadership to address University needs. 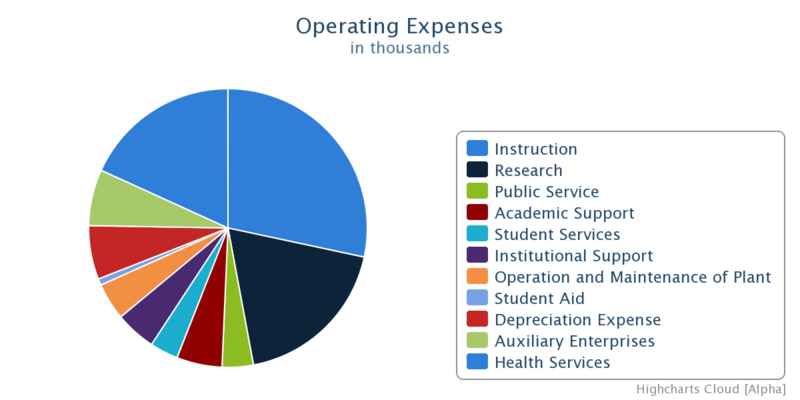 Now let's take a look at where the University gets its money (revenues) and how it uses those revenues to operate on a daily basis (expenses). The Income Statement is broken into 3 distinct sections. Operating Revenues are received from what CU does as its primary missions: teach, conduct research, auxiliary enterprises, and health services. Operating Expenses are costs incurred in fulfilling its primary missions. CU's operations are classified by function - instruction, research, and health services - so you can see where CU is focusing its efforts. These 3 functional expense areas reflect a direct correlation to the top 3 revenue sources (tuition; federal, state, and private grants/contracts; health services). 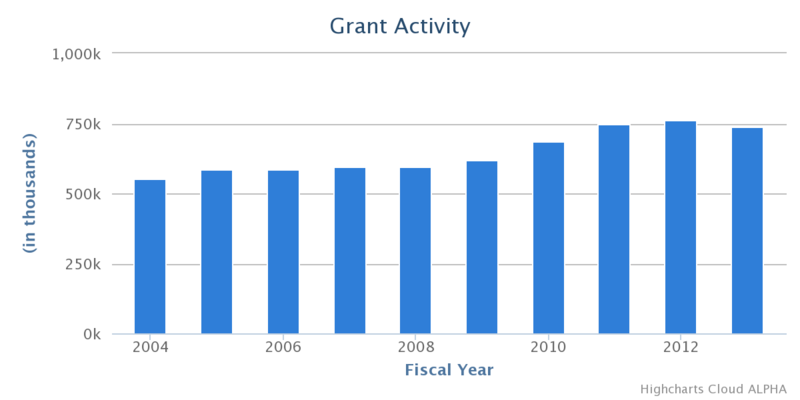 This graph indicates the growth in the University's research activities over the past ten years. Research funding comes primarily from the federal government, and non-governmental grants and contracts, as well as state and local grants and contracts. 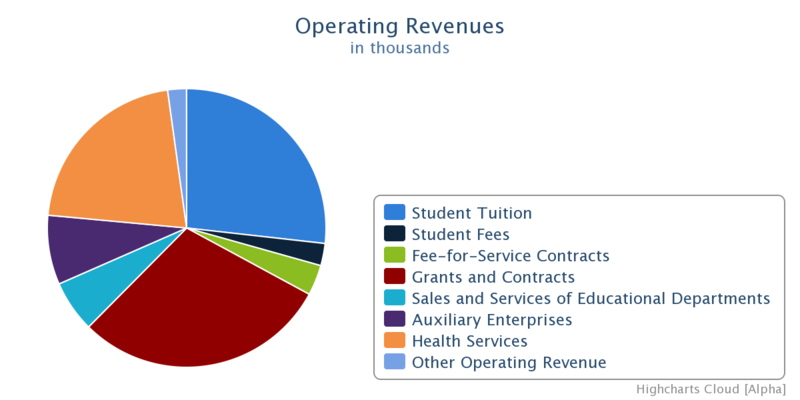 Nonoperating Revenues and Expenses are those amounts that are not directly related to the University's mission, but are important drivers of its financial results. Major nonoperating revenues are the federal Pell grant, gifts, and investment income. Major nonoperating expenses are investment losses and interest expense on the University's outstanding debt. Over the past several years, CU has aggressively refinanced much of its outstanding debt. So, for example, while you were refinancing your home loan to save money, CU was doing essentially the same thing! Pell Grants - The Pell grant is a federal program put in place to help students pay for their higher education. Gifts - Gifts to the University are received either directly from donors or from the CU Foundation. Gift revenue is a critical component of maintaining the financial viability of CU and maintaining its academic and research profiles. Investment Income - Market swings can significantly impact the fair value of the investments held by CU. However, for the most part, the underlying financial stability of the University is not impacted, either positively or negatively, from these swings. The main component of other revenues is capital gifts and grants. These are gifts made by donors to be used only for the construction of buildings or other capital assets. The gifts may also be donations of actual capital property. You may have noticed that State appropriations are not among the major sources of nonoperating revenue. In total, CU receives approximately five percent of its funding from the state. Absent changes in the state's fiscal structure, this amount is expected to remain low. As of Nov 1, 2013, the Governor's FY 2014-2015 budget plan proposes an increase in higher education funding as well as new resources for resident student financial aid. So what's the bottom line about CU's bottom line? Much work has been focused on ensuring CU's continued fiscal health. This is most clearly indicated in the unrestricted net position balance: A small positive or a negative unrestricted net position balance is often indicative of an institution in fiscal duress. However - you've seen here that the University has a healthy (positive) unrestricted net position. This is very important as it helps maintain a safety net in the event of funding cuts, unforeseen expenses, or negative economic conditions. In addition, positive unrestricted net position is viewed favorably by rating agencies ... and this is important when CU issues debt since a higher credit rating typically means lower borrowing costs. We hope that you now feel more informed about CU's resources, about how CU spends money, and about how it stands from an overall financial position. Stay involved with CU. We promise to continue to do what we can to make our financial activities and information transparent and understandable to you. In the introduction, we stated our goal to present the University of Colorado's financial information in an easily understandable manner through the use of this website. So, how did we do? Is there something you think should be more fully explained? Please use this feedback form to let us know! Transparency and clarity go hand-in-hand. We've taken an initial step to providing clarity to CU's financial statements. Now it is your turn to help us make additional strides in this ongoing effort. Thanks for your time and we look forward to reporting back to you next year! If you want us to contact you regarding your feedback, just give us your email address.